I feel like it's been years since I wrote a blog post! ...when in actuality it's only been a week. But Christmas came (yay!) and Christmas went (boo. ), and I ate an obscene amount of food (um, hey New Year Diet), and it felt like we were living in the tropics, and now I'm freezing my buns off, and so much has happened that, yes. It feels like it's been years. But enough about me, how are you? How were/are your holidays going? 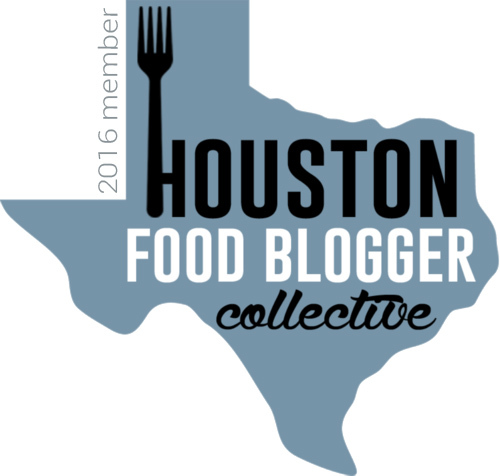 Are you excited for 2016?!?! 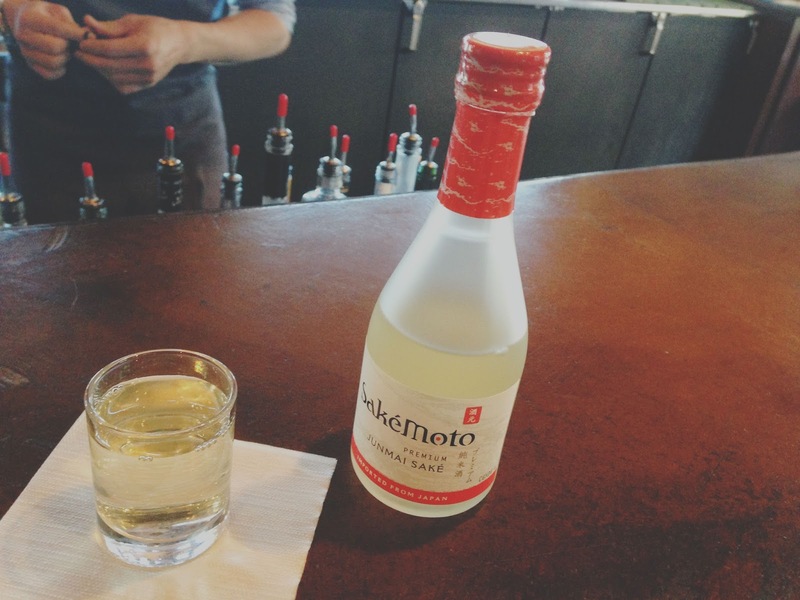 So when we last chatted, I had recapped my recent [awesome, delicious] trip to Fort Worth. 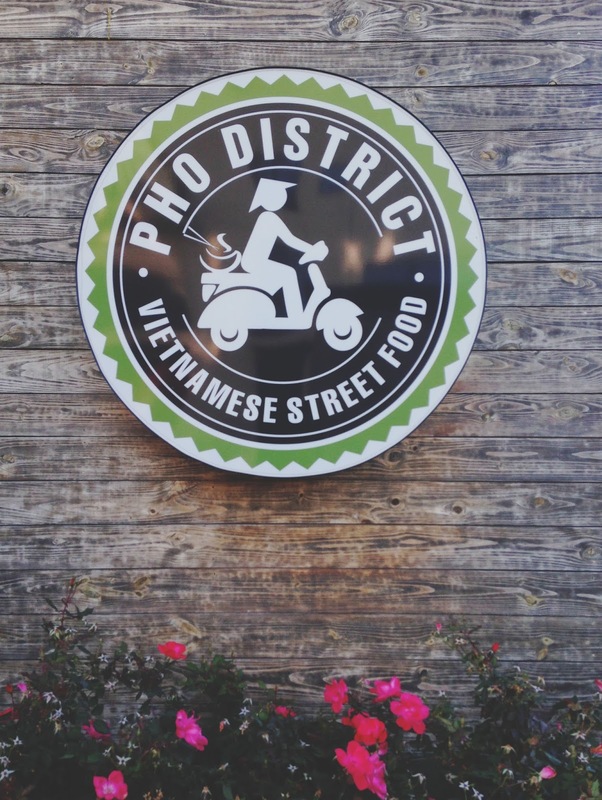 I mentioned that one restaurant we visited, Pho District, so totally took my breath away that it deserved it's very own post-which brings us to now! Jon and I arrived in Fort Worth and immediately met up with my sister Emily for a late lunch of Vietnamese food at Pho District. Located in Fort Worth's super trendy and hopping West 7th Street area, the restaurant is in a fun part of town. Even though the open, large, contemporary restaurant wasn't too busy (it was 3:00 on a Friday afternoon), we decided to have a seat at the bar. Our bartender Gavin was super friendly and helpful with the menu. We started off with an order of the edamame. 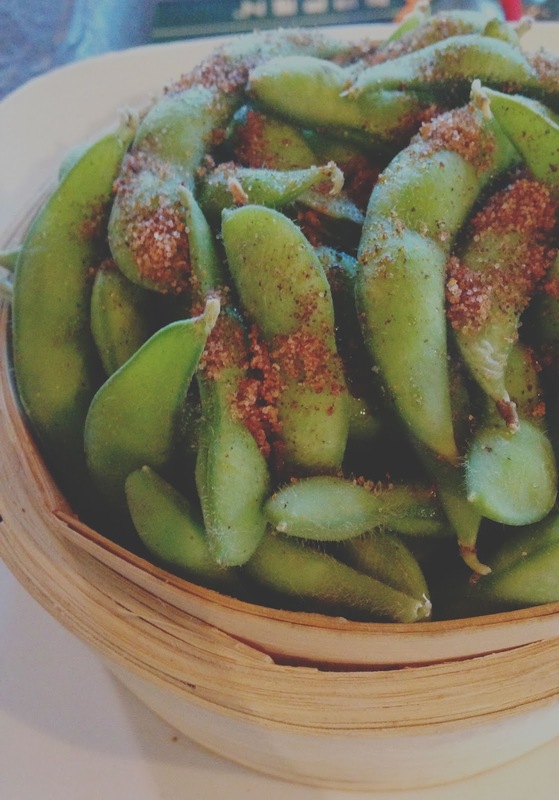 Not your regular old edamame, these pods were steamed and tossed in a spicy sea salt, which no doubt included some cayenne pepper. 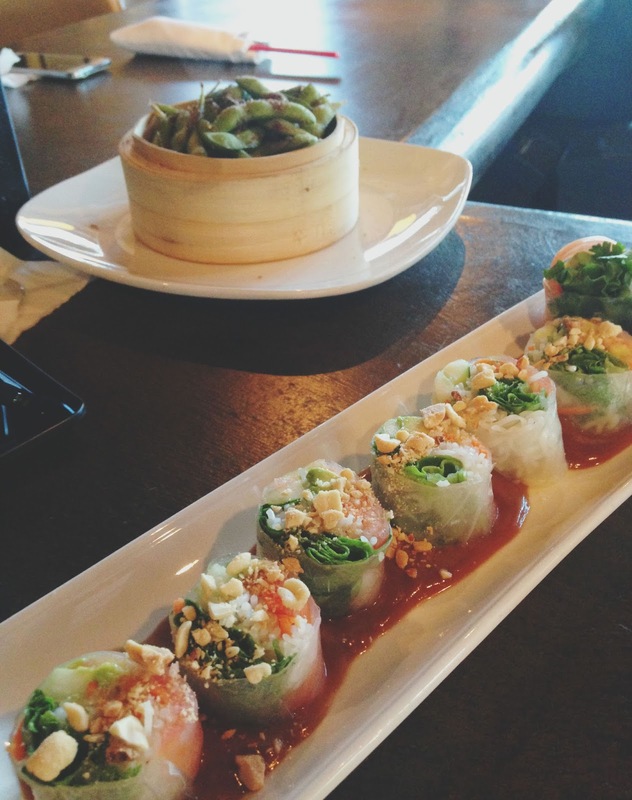 Definitely packing some serious heat, I thoroughly enjoyed this playful, well-presented version of edamame. An entire section of the restaurant's menu is dedicated to vegan choices, which definitely earns them a gold star from me! For my next round of food, I ordered the mixed vegetable spring roll. A bursting kaleidoscope of lettuce, asparagus, cucumber, tomatoes, and avocado was neatly stuffed inside soft pieces of rice paper. Served over a generous pool of thick, rich, velvety peanut sauce, the combination was lovely. 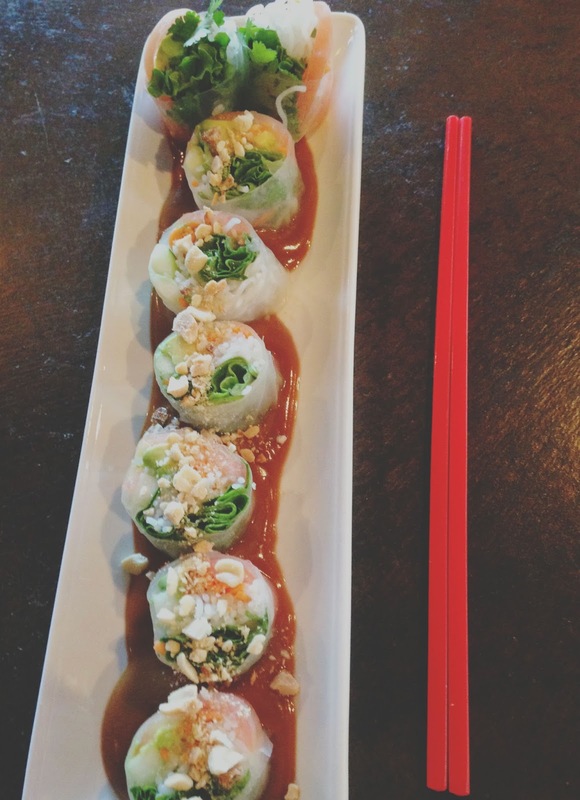 The spring roll was light with a nice subtle crunch, and everything worked fantastically together. But my favorite food of the day? KIMCHEE. FRIED. RICE. (with a fried egg thrown on top for good measure, DEAR LORD). Look at it! JUST LOOK AT IT. Actually, here's a video so you can get the full, beautiful #yolkporn effect (taken from my snapchat, username: newishcityHOU <~~(shameless plug)). I seriously have not been able to stop thinking about this dish for the past couple of weeks. 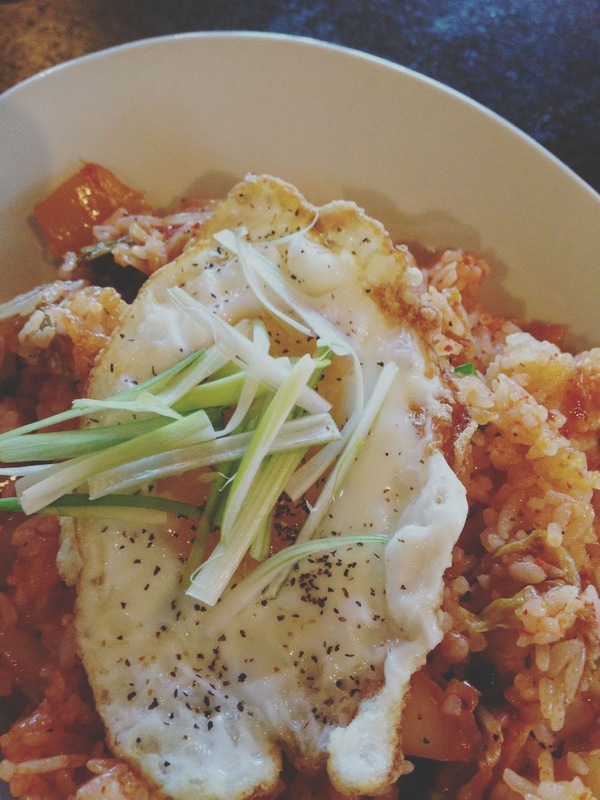 Tart, aromatic, lovely kimchee dazedly swirled in with beautifully fried jasmine rice and was topped off with long cuts of green onions. The yolk from the egg oozed sensuously throughout the dish, and the end result was insanely powerful. To say I loved this bowl of rice would be an understatement, and I absolutely will go back for the sole purpose of indulging in it again. Jon was also equally impressed with Pho District and agreed that it was his favorite restaurant we visited in Fort Worth that weekend. 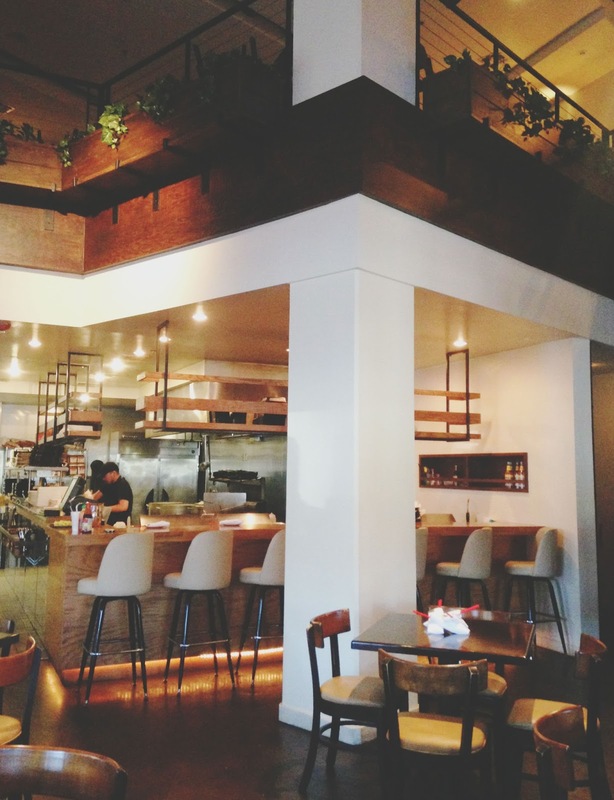 The clean-lined, sharp-edged restaurant appeared to be simple, but the food was anything but. If you are visiting Fort Worth, and you are looking for standout Vietnamese food, I cannot recommend this spot enough. Pho District, I envision several more rendezvous(es?) with you in my future... See you next year!